What constitutes historic for you maybe be different to someone else, but as far as Charleston SC is concerned it usually means anything built 1850 or earlier. 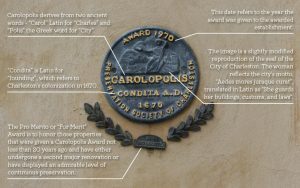 Many of the old historic houses in the downtown Charleston area have been owned or lived in some of the more famous American dignitaries that once called downtown Charleston SC home. Owning historical property in downtown Charleston SC can be both exhilarating yet challenging at the same time as they are much different than a newer home. Current active MLS listing are on the market for 171 days.